The workshop programme and abstracts are available at the SOAS website. Here are the recordings of the presentations from the workshop. All files are hosted at the Internet Archive. 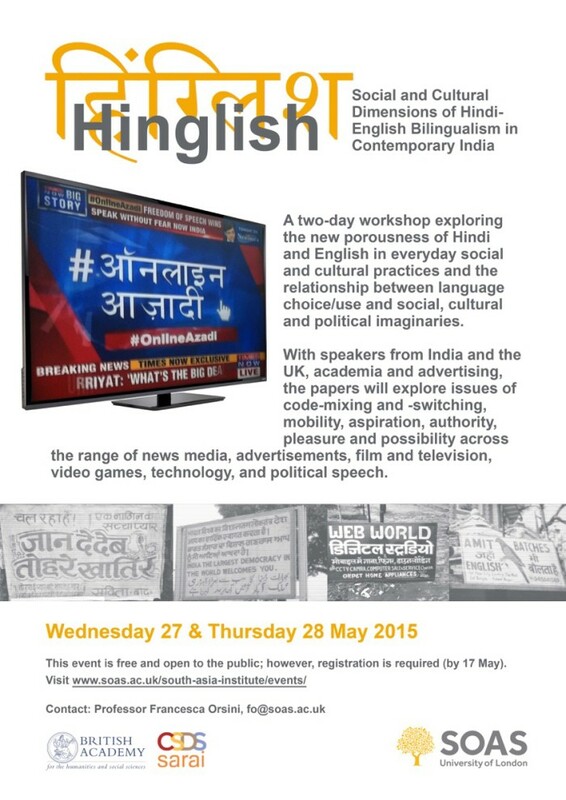 Speaker: Francesca Orsini – Hindi political rhetoric: any mixing?